Westland Co-operative Dairy Company (Westland Milk) is to be sold to China's largest dairy producer Yili for $588 million in a move that will strengthen the acquisitive Chinese company's position in New Zealand. The deal, to be consummated through a scheme of arrangement, is set to be voted on by shareholders in early July. Under the terms of the deal Westland's farmer suppliers will be guaranteed to get a farmgate milk price that at least matches that paid to Fonterra farmers for the next 10 years. This arrangement would be very attractive for Westland's farmer shareholders given that Westland has struggled to maintain similar levels of farmgate milk price to Fonterra in recent seasons. The deal follows Westland putting the business up for strategic review last year, with chairman Pete Morrison saying then that shareholders had clearly indicated support for a plan that would create higher returns and shareholder value, "which would likely require significant new capital". In the year to July 2018 Westland reported revenues of $692.6 million and a profit of $560,000. Yili has been in New Zealand since 2013, when it acquired Oceania, the South Canterbury-based dairy company. Since that time it has invested RMB 3 billion (approximately $650 million) in establishing milk powder, infant formula and UHT production lines for Oceania. In recent years it has provided its supplying farmers with a payout higher than the average industry payout. 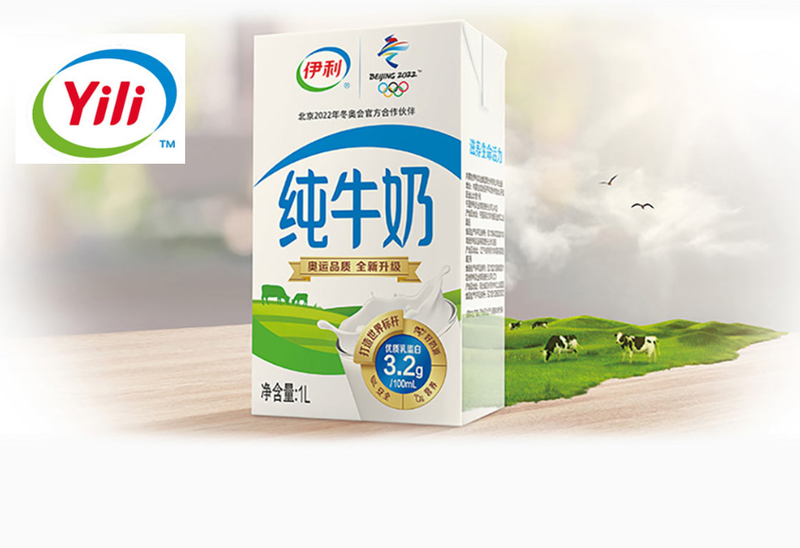 Yili is China's largest dairy producer with an estimated 22% market share. Total revenues of Yili in 2018 were RMB79.553 billion (about NZ$17.3 billion on Tuesday's exchange rate), and net profit attributable to shareholders of the company was RMB6.440 billion. Both revenues and net profit maintained growth as compared with the previous year. As some means of comparison, our own giant Fonterra had revenues of $20.438 billion in its last financial year - but of course made a loss of $196 million. Fonterra's reporting its half-year 2019 results on Wednesday. Westland said the conditional sale agreement was for $3.41 per share for the 72 million Westland shares outstanding, while Yili would also assume net debt and other liabilities totalling $342.5 million - giving a total enterprise value for the business of $588 million. Morrison said on Tuesday the board believed that the proposed transaction represented "the best available outcome for our shareholders" and the acquisition price was "attractive" relative to Westland shares’ nominal value of between 70c and $1.50. He said under the proposed transaction the shareholder farmers who are existing suppliers upon the implementation of the scheme will receive the benefit of Westland’s (under the new ownership) commitment (guaranteed by the Yili subsidiary buying the business) to collect milk and pay a competitive payout of a minimum of the Fonterra Farm Gate Milk Price for 10 seasons from the season commencing 1 August 2019. "A Supplier Committee comprising five representatives from existing Westland suppliers and five representatives from Westland (under the new ownership) will be formed to maintain communications and transparency between existing Westland suppliers and Westland going forward,” Morrison. Westland said it had confidentially engaged with over 25 parties in a competitive process to seek indications of interest in a cornerstone investment in Westland or a full acquisition or merger with Westland. The board then shortlisted a small number of parties to participate in detailed financial, legal and operational due diligence and to review and negotiate potential transaction documents with Westland. A detailed shareholder booklet containing information relating to the proposed transaction, the Independent Adviser’s report, the reasons for the director’s unanimous recommendation and shareholder meeting information is currently expected to be provided to our shareholders in mid June 2019. Westland will also hold farmer consultation meetings to discuss the proposed transaction and information provided to date. “We will also brief staff, customers and key stakeholders on the deal,” Mr Morrison said.The proposed transaction will be by way of a scheme of arrangement and requires the approval of 75% or more of the votes of shareholders (in each interest class) who vote; and more than 50% of the votes of all shareholders entitled to vote (whether or not actually voted). would have been nice if the famers had been able to keep some shares in the company company to enable them to share in future profits, hate to think what it will be like after the ten year window and how many will be bitter when they see what they are missing out on. If all dairy companies were sold to Chinese companies, there would not be any difficulties in implementing any stringent environmental laws in protecting NZ water, soil while reducing GHG emissions. Well, who do you think are currently stopping those laws from passing? Well, why do you think Chinese companies would be less worried about more stringent laws being applied to them after they buy the assets? Surely if they're being bought for business reasons that would be of great concern. Adding to this, we see in today's summary that China is now slowing the unloading of Australian coal ships, potentially in retaliation to their excluding of Huawei. This should provide an object lesson: corporate and state in China are intertwined. Moves to regulate NZ farming assets owned by Chinese state-backed companies in ways that China does not like won't be followed by protests like those of NZ farmers, but likely by state threats and retaliation. mmm, if farmers have the power to stop legislation that does not favor them, only imagine what a powerful state will do to protect its interest. Xing, i think that you are a troll who laughs at us taking your non-sense seriously. I cannot think of any other explanation for your absurd comments. I would treat your posts more seriously if just once,you would acknowledge the shortcomings in China-corruption,lack of freedom of expression,serious environmental issues,etc. All democracies are messy and NZ has serious issues to face,but I would much rather live here than in China and so too do you,it would seem. The writing has been on the Great Wall for some years: WCDC did a JV some time back with AusNutria part of which was transfer of Rolleston-based assets, and there have been mutterings about capital structure in the years since. Yili's now experienced in NZ plant operation - it's Oceania plant (just above Glenavy) has been running quietly, under the radar compared to Fonterra. I do wonder if the new OIO strictures will upset the deal - be Interesting to see the Gubmint's response to this. ... what's not to hate about the Big F .
If the Chinese keep buying their own dairy companies in NZ what will Fonterra's purpose become in the future? To give milk to schools? Chinese own Synlait too right? Not sure selling of dairying companies to China is a good idea actually. Too right Davo, soon we'll be the renters and the poor in our own country. We'll pay the price for buying their junk and selling them our assets. Version II of muskets for land. Shame we can't learn from history. Agree, but you don’t need to look any further than dairy co shareholders and directors for the reason. They’ve stripped company balance sheets bare overpaying suppliers, so they can overpay for land. The games over, but it remains to be seen whether farmers can work it out, or collectively demand more of the same. Fonterra Dairy co supplier shareholders are the reason. They’ve demanded directors overpay milk price, so they can overpay for land, and stripped balance sheets bare. West Coast result was inevitable as a result. Have they learnt anything - for instance that they should be investing in company earnings growth, rather than just looking for milk price and supply growth - doubt it. Fonterra suppliers have nothing to do with Westland. Westland has been a company on the edge for quite a while now. They were proud of keeping a low share price which meant that they really had no way to raise the capital they need for their expansion. They have a very long geographical supply base and it isn't a large number of suppliers over that area either. They chose to remain outside Fonterra - which was their right. One can but wonder what position Westland suppliers would be in now, if they had chosen otherwise. Having experienced the folly of a tradable share as applied to Fonterra, and the resulting instability and capital hemorrhaging, I think it's incorrect attributing Westlands problems to retaining a nominal share value. If they couldn't expand based on retained earnings, then they shouldn't have. As Fonterra has clearly demonstrated, expansion driven by incompetence, doesn't result in success. I would like to know who the controlling shareholders of the buyers are ? Specifically , whether they have a strong business ethos and track record of honest business dealings. The cynic in me says that this is colonization by stealth, the price is a joke considering the Chinese currency exchange rate is "rigged' , and the dividends will be sent offshore . And just in case we forget, dividends can by declared from money the Company does not actually have in cash, as long as it does not affect the solvency of the business, so expect assets to be sweated ......... hard. So like the Aussie Banks and McDonalds, in due course, we could see dividend payments offshore that are wholly disproportionate to the original capital outlay, or milk being sold and exported to the parent or other related parties at under value with the real profits being made in lower tax jurisdictions , such as the EPZ's in China . I hereby agree with Boatman for the first time ever. And no I would not be happy if a US company bought the Westland Dairy either. Given it is state-owned, surely it will not pass the good character test? What's gone on that I've missed since Silver Fern Farms was sold to them, just under another company name? Bailout for the farmer shareholders. But in 10 years time. If not before they will be selling their farms to Yili as well. For whatever price they are willing to pay. Wonder if they will pay back the sweet heat loan from the PGF and finance the plant upgrades with their own money? Yeah right. Marx worked it out. The ultimate benefit always flows to the owner. And the rest just get enough to get by and to keep the things going. Whatever are West Coast Farmers thinking. ? Fonterra shareholders would-------- for a ROI like that. As i noted elsewhere Southern Pastures will do very well out of this. Do you know the fine print around the share payment and ability to leave when one chooses skudiv? No I don't, Westland suppliers have traditionally been a captive market because prior to the Darfield plant Fonterra would not pickup milk due to the distance involved. So for many of them I doubt it will be the biggest issue. Now though, some of the prime Westland dairy country is being encroached upon by Fonterra, which added to the woes of the struggling co-op. Places like Haast and Karamea will always be captive suppliers to Westland. Unless something has changed, as far as I am aware dairying goes no further south than Franz Josef, in Haast you will see lots of Herefords and a few Angus. I know I've ridden behind them on a number of occasions in the past. I trust everyone is aware this is yet another Chinese state owned company. Honestly, I just shake my head. Wait until their ownership here reaches some sort of critical mass. At some point in the far future perhaps the comments on NBR will change from "Well, what does it matter who owns the land? They can't take it overseas with them and we can always legislate over it" (yeah, right) to "Ah, well, there was no way we could have known!" I predict this will have a significant, positive impact on dairy farm prices for the next 3-5 years. The west coast has always been a much cheaper area to buy, because of the discount from the risks of supplying Westland. This capital injection will go directly to farmers who desperately need it. Yes, but what's the old saying 'rich father, poor son'. Not sure if this is applicable in this case, but any company owned by the Chinese Communist Party... I just dunno. Would we welcome any other authoritarian despot to invest heavily in our country? Even imagining the Trump Corporation here in a big way is scary enough, but not quite as scary as Trump won't own the US military for life.. but for certain Xi Jinping owns China's for life. The Chinese are not immune to making mistakes, and it is possible they are over paying in this instance, it has happened before. Maybe the money is not the prime motive for the purchase, and once control is in their hands, I guess they can dictate the prices of milk to compensate. Shanghai Pengxin purchase of Crafer farms? Staffing and environmental issues are also potential brakes on farm prices increasing. Wait until David Parker announces his new rules for the environment later this year. Imagine a farm sells the shares. How is the farm bank debt repaid. The core debt remains. When debt farms were pushed out of Fonterra shares, they got a couple of bucks more that the banks took. Forget ROI. How does this drive a step change in farm gate price. A change from $6.50 to $8.50.? The guys need a step change like there was from $4 to $6. When China opened up. Current thinking is go value add. Branded product. That means a year round supply. On the Coast its tuff. All that rain. Milking year round is a real trick. The processor gets coast milk mostly in a couple of big months. If the 10yr price is same as Fonterra farm gate, thats got commodity written all over it. Ten years. Maybe this answers a question that wasn't asked. I need to ask the person again because he hasn't fronted with it. A guy I know was talking about a report done on Fonterra that points to them being better of ditching the brands and value add as an analysis of the money streams, as far as they could ascertain, indicated that any dividend being paid was coming almost exclusively from their milk dryers. Certainly their record to date would agree with that no matter how counter intuitive it may seem. Thanks, even a quick look, that's pretty unequivocal. Short term-ism v long term-ism. Guess which will win. Soon or later if you want milk, obey the rules we set! I wonder what provision has been made for the 50/50 jv Southern Pasture was considering with Westland including the provision for Lewis Road Creamery buying milk from Westland. (Lewis Rd Creamery is 25% owned by Southern Pastures). The Chinese seem to be a bit more wary of foreign investment..